This is an old revision of this page, as edited by muses-success at 05:41, 04 September 2017. It may differ significantly from the current revision. 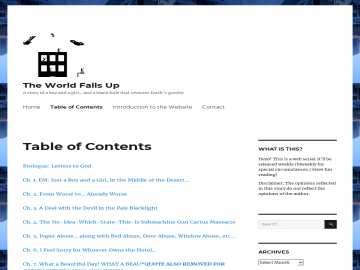 The World Falls Up has not been tagged yet. Help others find The World Falls Up by tagging it!